The TDT logo is only interim but is meant to represent the role of being connected, at the centre of a picture that allows the community to see the way ahead. 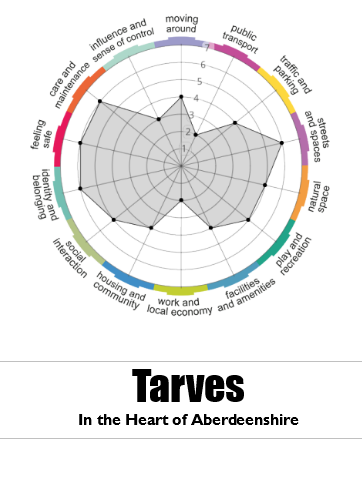 Tarves Development Trust (TDT) was set up in 2016 with the support of Tarves Community Council as a community led vehicle to develop social enterprise and community activities including acquiring community assets in and around Tarves and Barthol Chapel. The video below tells the story of Comrie Development Trust and is part of the inspiration that has sent Tarves along this road. DTA Scotland : Inspiring Change from DTA Scotland on Vimeo. A community meeting was held in 2016, where residents heard about Development Trusts and had the opportunity to join the Trust and to appoint members of the Tarves community as directors. These people have a strong commitment to the community and many have individual skills to help develop the activities of the trust.